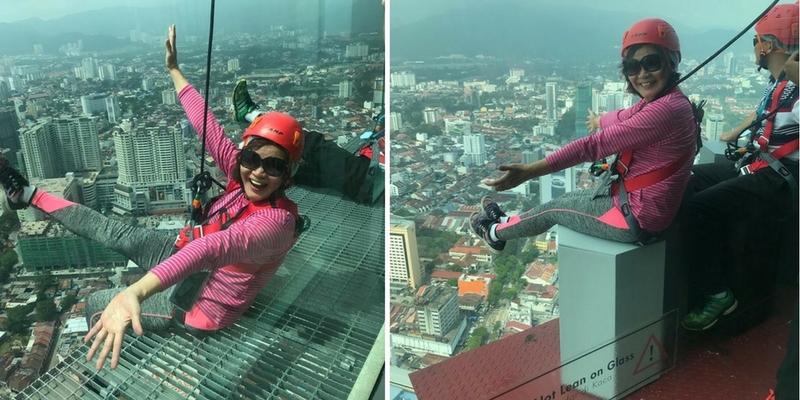 If the mere thought of being positioned at a death-defying height gets you nauseous, it’s time to conquer it once and for all. One way you could do so is by paying The Gravityz a visit. 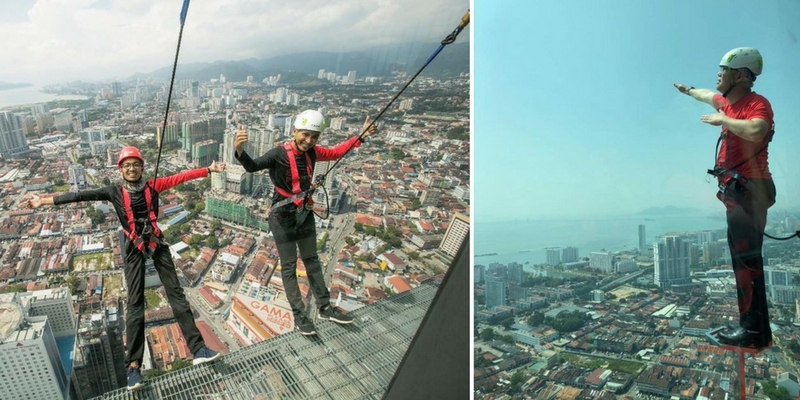 Located on Level 65 of The Top, Menara Komtar in GeorgeTown, Penang, The Gravityz is the world’s highest ropes course challenge. Get your adrenaline pumping as you traverse the teeny tiny steps whilst high up in the skies. 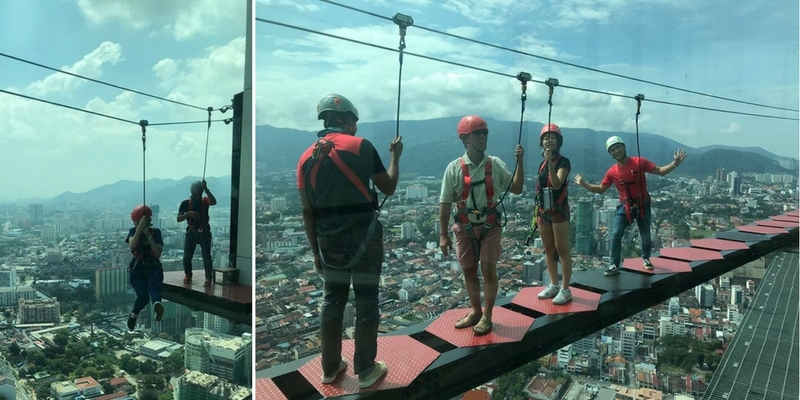 If your legs are shaking, distract yourself from the heights by getting lost in the breathtaking view of Penang from above. 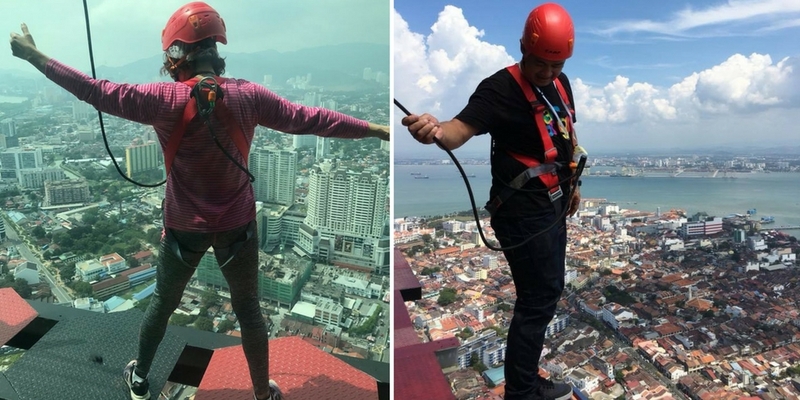 The Gravityz aims to build the confidence of those who are fearful of being at a height by rewarding them with the great views and a once-in-a-lifetime experience. 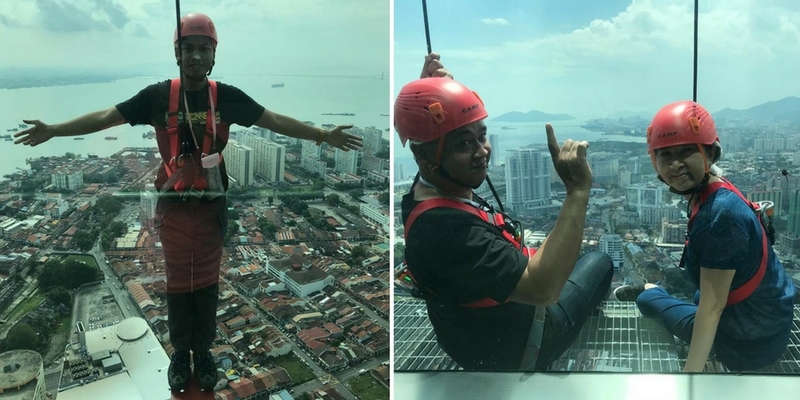 In essence, there’s nothing better than escaping your comfort zone to get an eagle’s eye view of one of the most beautiful cities in Malaysia. Boost your confidence by traversing a pathway with your body facing outwards. Remember to stay calm and take deep breaths. After gaining some confidence from the Confidence Path, the High Bench lets you sit back, relax and enjoy the view of the city. Now, you’re ready to move on to the Great Bridge which requires you to build extra confidence and focus on your concentration to travel across. The X Point is the 4th obstacle challenge and you’re halfway there. Give yourself a pat on the back! The flying fox obstacle takes you down to the G Rocky course, which is the final obstacle in this 6-part extreme activity series. You have now arrived at the final obstacle and the G Rocky is all about balancing. Law down on the platform and feel the breeze sweep through your hair. Congratulations, you have completed your course. Do note that there will be 2 Gravityz crew members, who also double as instructors, present during the course to accompany participants as well as to provide assistance. There’re also full-time medical staff on stand-by for good measure. The entire activity takes about an hour to complete and this includes a 20-minute preparation phase, a 10-minute briefing phase and the actual trail challenge phase takes 30 minutes. Now the question is: are you ready to conquer your fears?